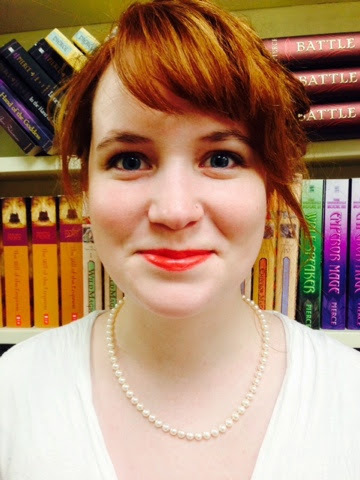 All The Write Stuff: Meet Kathleen Zakhar, associate agent at Harold Ober Associates! Meet Kathleen Zakhar, associate agent at Harold Ober Associates! Kathleen Zakhar: Thank you, I’m very much looking forward to the conference! I suppose I do have a bit of a colorful background. I had a job working metrics and program management on the Exoatmospheric Kill Vehicle, which take down satellites with kinetic energy alone, no traditional warhead needed. While I’ve always loved science and math and really enjoyed the job, I think I’m probably better suited to reading science fiction instead. It has to be pretty exciting working with such a respectable agency that's been around over 100 years and have represented legends such as Jack London and H.G. Wells. Can I ask what's one of the best things you like being part of Harold Ober Associates? Kathleen Zakhar: While we’ve only been around about 85 years, I am definitely lucky to work at such a legacy agency where these names, and others like F. Scott Fitzgerald, J.D. Salinger, Richard Adams, James M. Cain stand on our shelves. In addition, I work on some of the film/TV deals we do in the office, so I’m looking forward to the miniseries reboot of Ira Levin’s Rosemary’s Baby and the movie adaptation of The Giver by Lois Lowry. And, it goes without saying that the 14-year-old me would have loved the big wall of Tamora Pierce novels! What do you find most rewarding as an agent? What do you find most challenging? Kathleen Zakhar: Agenting provides me with the opportunity to pursue passion projects. There’s no marketing team, publicity department, or approval board to shoot down the books I want to represent. The challenges I face as an agent are constantly honing my list of editorial contacts so that I may draw up the perfect submission list in order to find the right home for a book. Having a degree in Creative Writing (along with a degree in Finance) I was wondering what you enjoy writing most. How old were you when the "writing bug" first bit you? Kathleen Zakhar: I’ve always enjoyed searching for the perfect word that captures exactly what I’m trying to make a reader feel. I had parents who encouraged creativity, so I must have penned dozens of short stories as a child which turned into the requisite embarrassingly angsty teenage poetry. It was in college that I realized I preferred editing and helping others to achieve their best work. Working in publishing, I can combine my background in business with my passion for the written word. I understand you originally hale from Tucson Arizona. I was curious if you have ever been to TusCon (a SF, Fantasy and Horror convention) particularly since one of the things you are looking for are Science Fiction manuscripts. Also, out of curiosity what's your favorite SF story? Kathleen Zakhar: No, I haven’t actually attended TusCon. But if you ever find yourself in the southwest, I highly recommend the Wild Wild West Steampunk Convention and the Tucson Festival of Books, a wonderful convention that brings hundreds of authors and readers together. As for my favorite SF story, it’s so hard to choose. Classics aside, I am particularly obsessed with Dan Simmons’ Hyperion Cantos. It has everything I love in a great SF story: beautiful worldbuilding, a unique premise, and, most importantly, a diverse cast of characters that I cared about. More recent favorites include The 5th Wave by Rick Yancey, John Scalzi’s Redshirts, and the science fiction and fairy tale blend that is The Lunar Chronicles by Marissa Meyer. In your bio it says you like "all things YA." In your opinion, how has YA grown, what makes it so "hot" and where do you see it going? Kathleen Zakhar: It wasn’t so long ago that shelves dedicated to YA fiction didn’t even exist. Young adult fiction is being embraced more and more by a much wider demographic, where a significant portion of the readers are adults. There’s an energy, or perhaps a certain amount of recklessness, that accompanies being a teenager that I think readers really admire, regardless of whether that’s a contemporary or a high fantasy novel. Coming-of-age tales will never go out of style, despite whatever “trend” seems to be happening. It all comes down to good literature. Regardless of age, nobody likes to feel static, and I think reading YA embraces that feeling that anything is possible. Do you recall a favorite book when you were a teen? Is it still a favorite? What are your favorite books now? Kathleen Zakhar: When I was a teen I read both YA and adult fiction, so my favorites from that time period range from Jane Austen – Mr. Darcy was just one of many literary crushes – to Heinlein to Harry Potter. I recall that Ella Enchanted by Gail Carson Levine, Ender’s Game by Orson Scott Card, and The Claidi Journals by Tanith Lee were among my favorites when I was younger. Today, I’m a huge fangirl for Neil Gaiman and Stephen King. I probably reread The Dark Tower series once a year. Lev Grossman’s The Magicians is an absolutely brilliant novel that my friends are probably sick of me recommending. Living in NYC, I absolutely depend on audiobooks, so I’ve enjoyed Jake Gyllenhaal reading The Great Gatsby and the ensemble reading of Ellen Kushner’s Riverside series. Could you give some examples on quirky and adventurous middle grade novels you have recently enjoyed? Kathleen Zakhar: The Wildwood Chronicles by Colin Meloy and Carson Ellis is a great example of quirky middle grade novels with a precocious protagonist and a captivating story. Another middle grade novel I like is Caroline Lawrence’s P.K. Pinkerton and the Deadly Desperados, a western with a high-functioning autistic narrator. I see a lot of middle grade queries that I believe underestimate their reader and what middle grade readers face at that age, so I am always happy to see it proved otherwise. Are there certain things when reading a manuscript that are apt to "spark" your interest? And what pet peeves do you have? Kathleen Zakhar: One thing I definitely want is to be swept into a story within the first few pages. I was recently reading Born Wicked by Jessica Spotswood and found myself truly admiring her first couple sentences: “Our mother was a witch, too, but she hid it better. I miss her.” Right away the author is creating a tone, while also presenting background information without being heavy-handed. There’s a lot packed into those 14 words! Along those lines, if there’s any info dumping or the exposition is wonky, I’m going to have a hard time. Beginning with elaborate battle sequences and lengthy prologues can also be tricky, because I’m not yet invested in the characters or the world. Starting with too much or too little dialogue is also a pet peeve of mine. And one last question...if you could share three pieces of advice of what to do or what not to do when pitching a book, what would they be? 1) I know it’s been said a hundred thousand times, but make sure your query letter is perfect. It’s the first and perhaps only impression an agent will have of you, so why not make it the best it can be? That means no “Dear Mr./Ms. Agent” introductions (do you want me to reply “Dear Author”? ), no spelling errors, and a concise and gripping representation of you and your work. 2) Be in tune with your readers. Classics ≠ comp titles. Do your research on what’s out there (including other media like TV and movies) so that you can answer any questions about how and why your book is different and appealing with alacrity. 3) Don’t jump the gun and start suggesting actors for a film adaptation, discussing media tie-ins, or weighing in on which imprints might be perfect for the book. There’s a cart, and there’s a horse, and they go in a certain order. Thank you Kathleen for taking time out for the interview. We really look forward to seeing you! An associate agent at Harold Ober Associates, Kathleen Zakhar is actively building her client list. She graduated from the University of Arizona with a dual-degree in Creative Writing and Finance, and dabbled in journalism, real estate, and missile engineering before coming to Harold Ober Associates. She put in her time as an intern at Jill Grinberg Literary Management, Foundry Literary + Media, and McIntosh & Otis. Having grown up in the deserts of Tucson, she now lives in Brooklyn with her med school husband and a tiny potted cactus. You’ll find Kathleen on Twitter at @kzakhar and Harold Ober Associates at @harold_ober. Looking for: I love all things YA and am also looking for adult science fiction, fantasy in all its varieties, historical fiction, and horror novels. I am also interested in representing quirky and adventurous middle grade novels. I’m not opposed to picture books, but I’m extremely selective.